I had it on my to-do list forever but I finally got around to generating the offsets for the Zippy Classic Moth (a modified French Proust design) as 8 stations, which should match the frame placement for a home build. Offsets for Zippy can be found by clicking here. We just got another dollop of snow this morning in the Mid-Atlantic (nothing close to what they are dealing with in the Northeast). To buck me up before I go out to shovel the driveway, a duo of sailing crash and burn videos. First up, that old chestnut of dinghy disaster, the Olympic 49'er. This time the performers are a Canadian team (the acceleration once they get the assymetric trimmed is jaw-dropping - at about 2:04 into the video). Click here for more 49'er shenanigans. 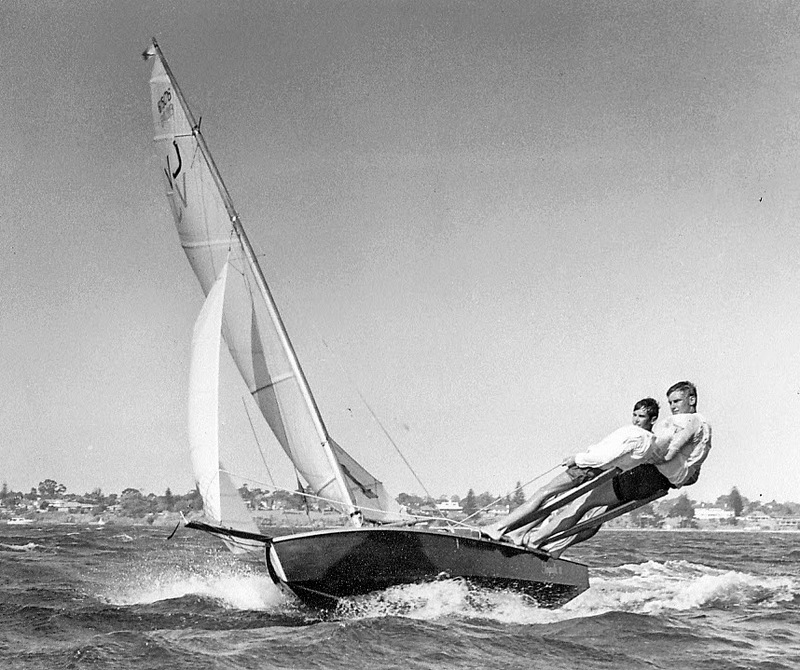 Splash's & Crash's from Ferguson Sailing on Vimeo. Next up, a plucky and persistent junior team having their difficulties around the course in their RS Feva during the 2015 Bloody Mary. Good thing they are wearing matching dayglo-green knit caps. The previous header photo was of the Australian junior class, the Vaucluse Junior, aka the Vee Jay, or simply the "VJ". 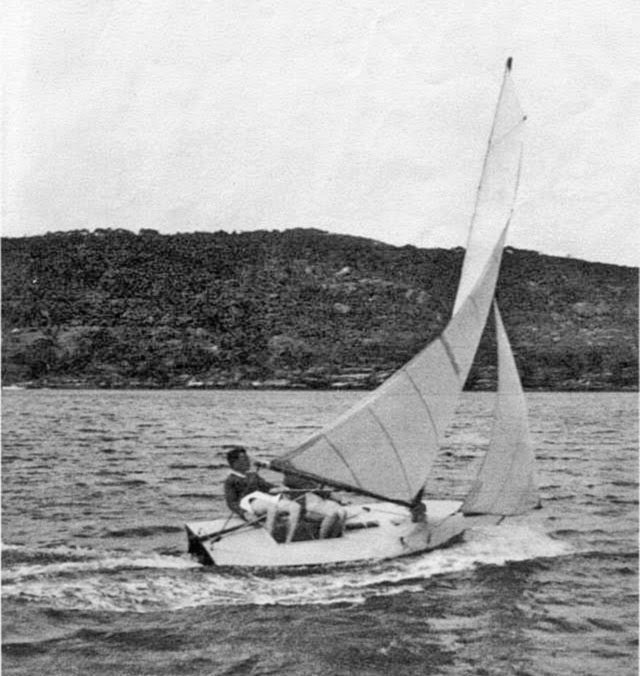 A 12-foot dinghy, the Vee Jay was originally designed in 1931 by Sydney boatwright Charles Sparrow to a design brief for a junior sailboat given to him by local sporting-goods store owner, Sil Rohu. It was a simple low-angle V-shaped hull, plank and frame construction, readily built by amateurs. 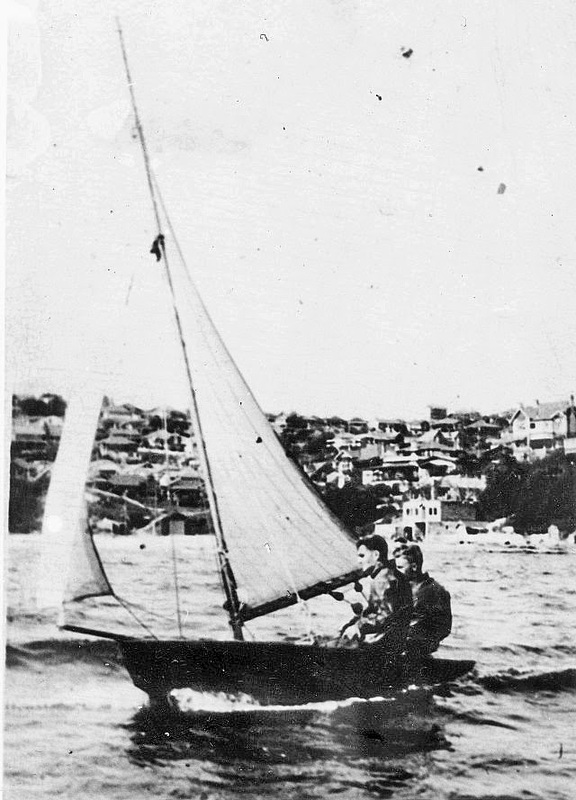 The pre-World War II hulls had a small cockpit, similar to the North American Sunfish class. The class collapsed in the 1980's under the hegemony and homogenization of fiberglass junior trainers (namely the 420). I have taken most of my information and photos from the Vee Jay website. For those who wish to read more I would direct them to click on this link to their website. I would also like to thank Aussie, John Fairfax, for also filling in the history and providing photos. 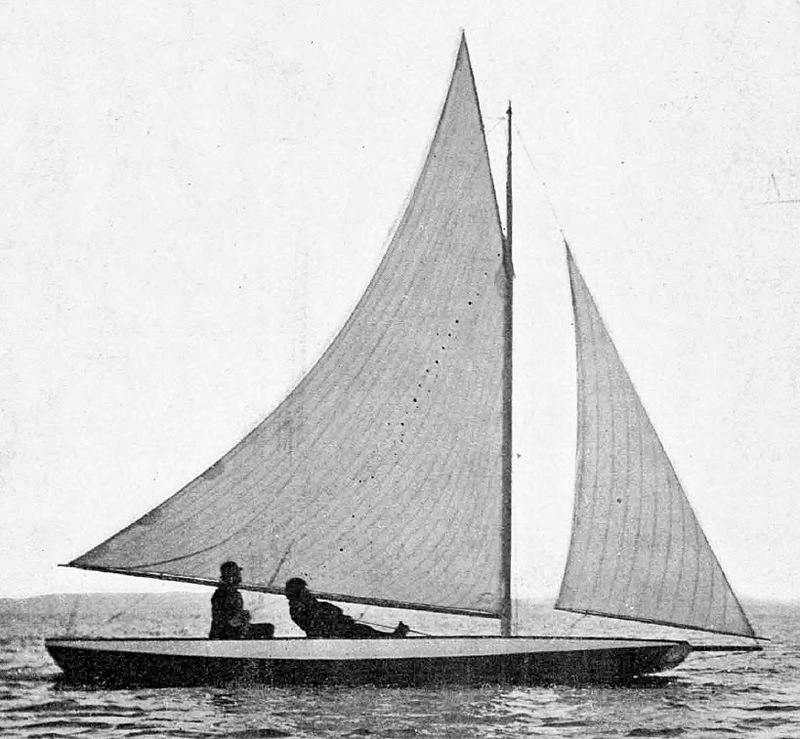 The first design by Charles Sparrow was named Splinter. 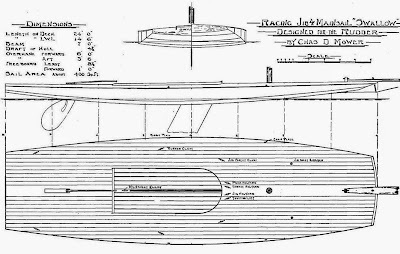 Deciding the first hull was too tender, Sparrow drew up a wider modified hull the same year named Chum from which commenced the VJ class. 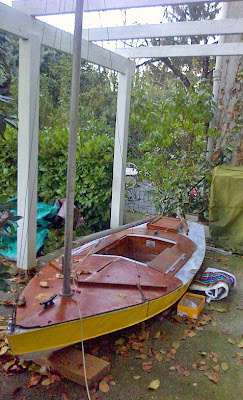 The original boats had a gunter rig. Two photos of the simpler, 1930's hiking Vee Jay. The squat sail plan was easily handled by lightweights in the typically strong Australian breezes. To me, the most iconic photo of the Vee Jay, "Warren Nupier in Impala"
A promotional brochure with the Vee Jay at full crack, under kite. This photo shows the final development of the Vee Jay before the class died out (the boom looks shorter with a straighter leech mainsail). 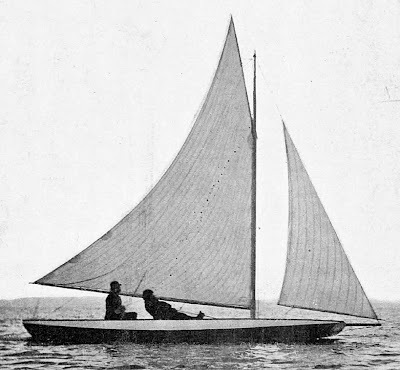 There was a recent movement, documented on the Vee Jay website, of bringing back the class with a more modern sail plan, but that hasn't seemed to gain much traction. A photo lifted from South Gippsland Y.C. 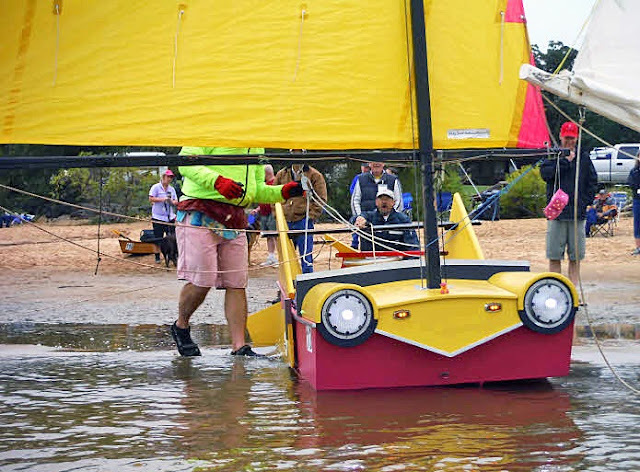 of a restored Vee Jay racing at their 2015 Classic Wooden Dinghy Regatta. This is a one-planker, just for the skipper. 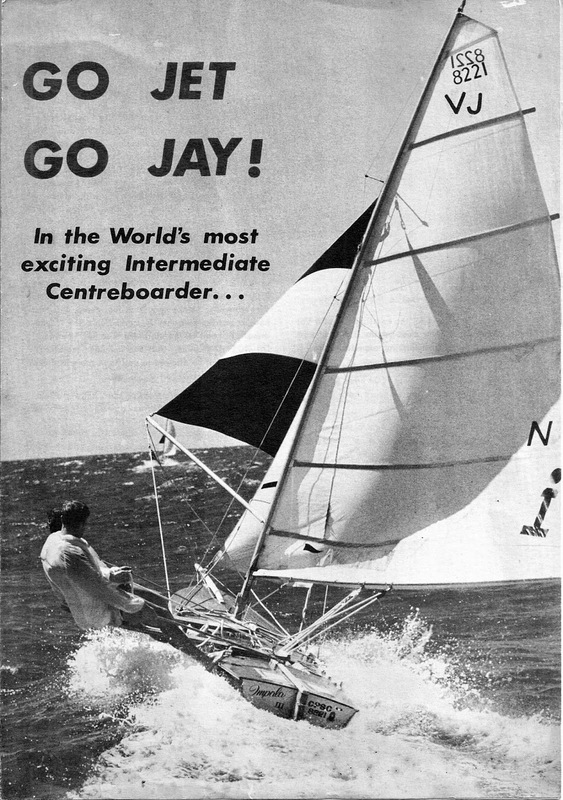 A 1950's video showing two juniors rigging, launching, and sailing their Vee Jay. "As a young sailor, during the 1970's, I came across a Vee Jay on Annapolis Harbor. I saw this strange craft buzzing about the Harbor, two sliding seats, as we sailed our International 14 out to the starting area. On our way back after the racing, we encountered the same double sliding seat dinghy and sailors again. this time entwined in the fishing lines of two irate fishing boats, the air turning blue as the skipper was working desperately under his rudder. Inquiries on shore had the sailor as someone from the Australian embassy. I never saw him again; most likely the encounter with the fishing boats left a bad taste in his mouth. And another sea story I've pulled from the comments... from Northwest sailor Mike S.
Click here for the post about the other Australian pre-WWII class, the Len Morris scow Moth. Mesmerizing "rockin and rollin" downwind in some breeze off the coast of Ireland. I like how the skipper steers from a relaxed, sprawled position (which probably isn't relaxing given the pull on the rudder... just looks that way). An Faoilean from Pat Tanner on Vimeo. In the ancient history of this blog (2009, 2010), I used to post a couple of love song videos for Valentines Day. It was something that fell by the wayside but, for 2015, at least for this year, I'm bringing the tradition back. Click here if you want to see my previous Valentines Day posts. Let's start with the popular Passenger (aka Mike Rosenberg) "Hearts on Fire". Adam Baldwin with the slow-dance tune "Love You With My Eyes Closed". ADAM BALDWIN - Love You With My Eyes Closed from Southern Souls on Vimeo. And a R and B tune; Lee Fields and The Expressions, "You're the Kind of Girl". Oops! My lovely wife is questioning me about an unexplained charge that just showed up on our credit card bill. Gotta go! About two years ago, I spotted an aluminum sailing dinghy being refurbished over at Bobby Muller's yard in Eastport. Though I vowed to return with a camera to take a photo, I never did. 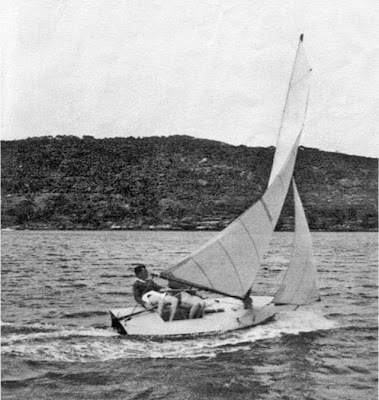 Sailing dinghies built out of aluminum are rare animals. 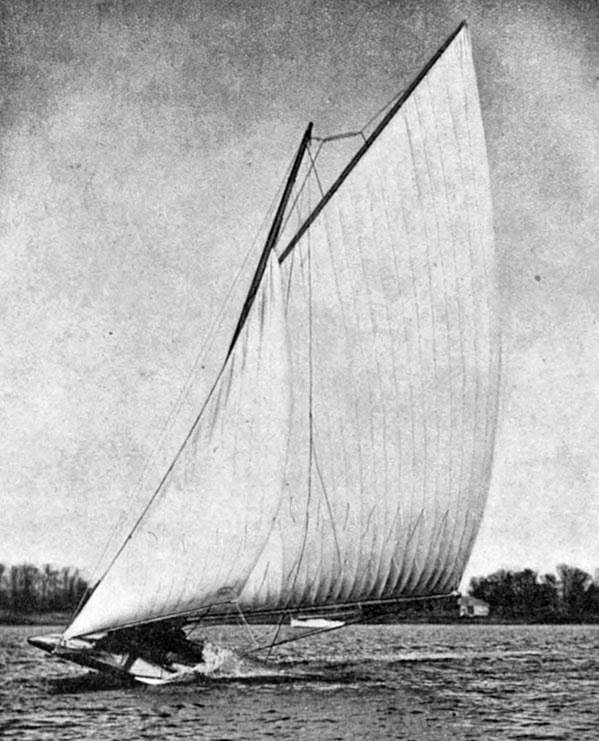 There are plenty of aluminum Grumman canoes, aluminum small fishing outboard skiffs, and most of the motorized pontoon boats on American lakes have aluminum hulls, but very few small sailboats were ever built with aluminum hulls. This aluminum sailboat at Muller's boatyard remains a mystery - one of these days I'll return to make inquiries at the yard office. An aluminum sailing dinghy I did unearth on the InterWebs was the French Gouget Moth design from the 1960's. 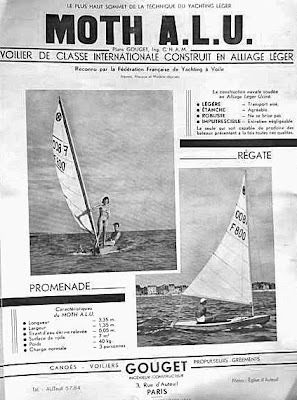 Designed as a recreational dinghy and not a racer, the Gouget was competing against the newly introduced fiberglass dinghies - a battle for market share it obviously did not win. Side view of the Gouget aluminum Moth. We can see it sports not a plumb bow, nor a scow bow, but a pretty raked one. Also we see an enormous bow cleat with chock. The sections seem to be a simple V.
It appears the wood decks were applied over an aluminum deck, but only in the bow and around the cockpit. Sitting on the aft deck in the summer sun must have been sizzly hot. 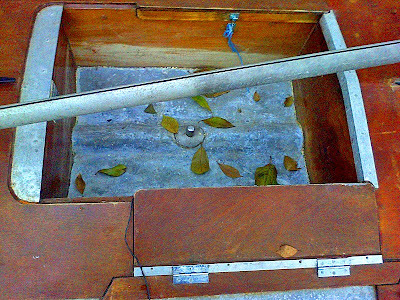 Given the general nature purpose of this Moth, the aft tank sported an extremely large storage hatch. This Moth also sported hinged plywood flaps on both sides of the cockpit. These appear to be flopped open to provide more hiking power and seated surface when sailing. 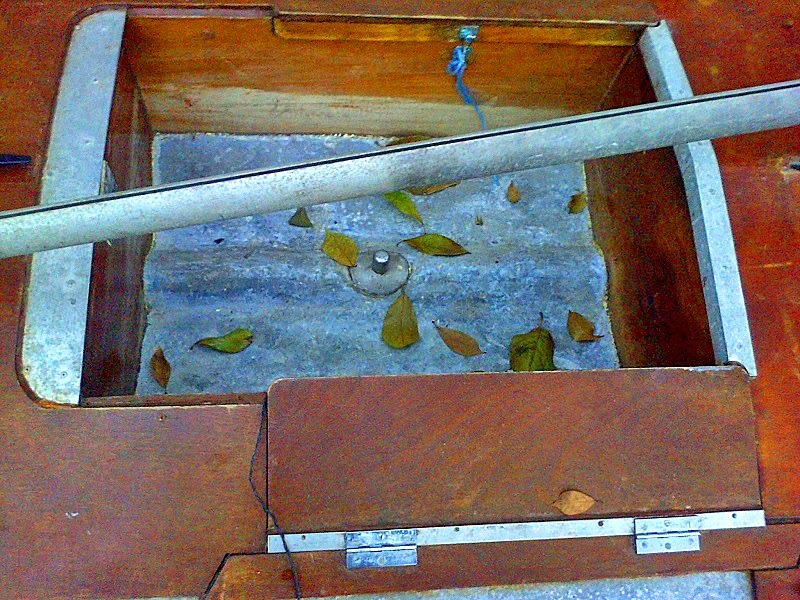 When the Gouget was stored ashore, these flaps were flipped back to the center, as is seen here. Ad for the Gouget aluminum Moth. Click here to read George A. 's post on the even more bizarre French camp/cruising Moth. 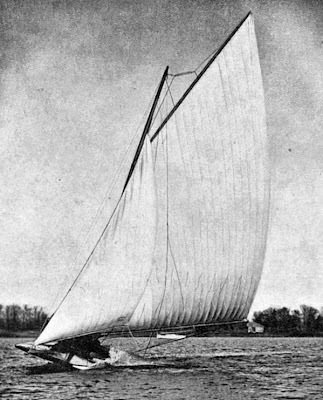 The Rudder magazine launched their second scow, the Swallow, a 24 foot, three person scow in December 1898, just three months after they started publishing the plans for the 16 foot Lark scow. 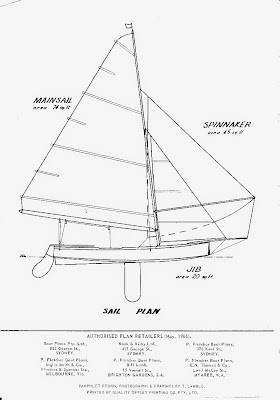 A year later, in the November and December 1899 issues of the magazine, they would serialize the Swallow plans, and like the Lark, issue a stand-alone plans and building booklet The design is credited to Charles Mower but the prototype builder, Larry Huntington, was a renowned scow designer in his own right. 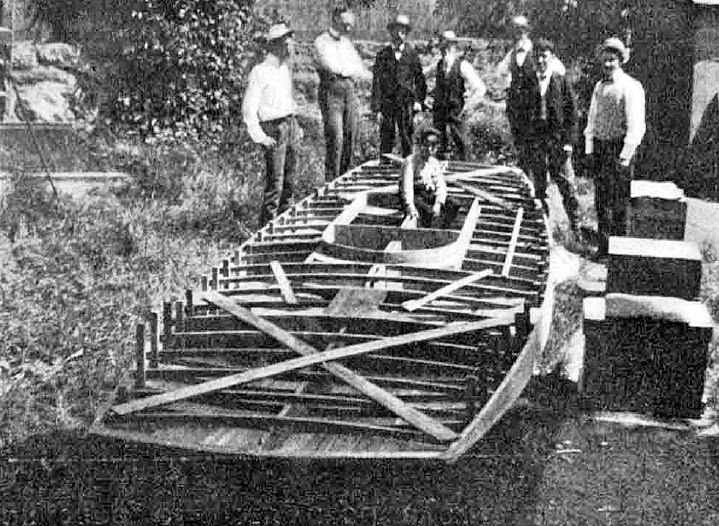 I can't imagine that Larry Huntington didn't have a large say in the design of this scow so I personally would credit the design to a collaboration, a Mower/Huntington design. For those who wish to delve further, you are in luck; the Library of Congress has scanned the Swallow plans booklet into PDF format. 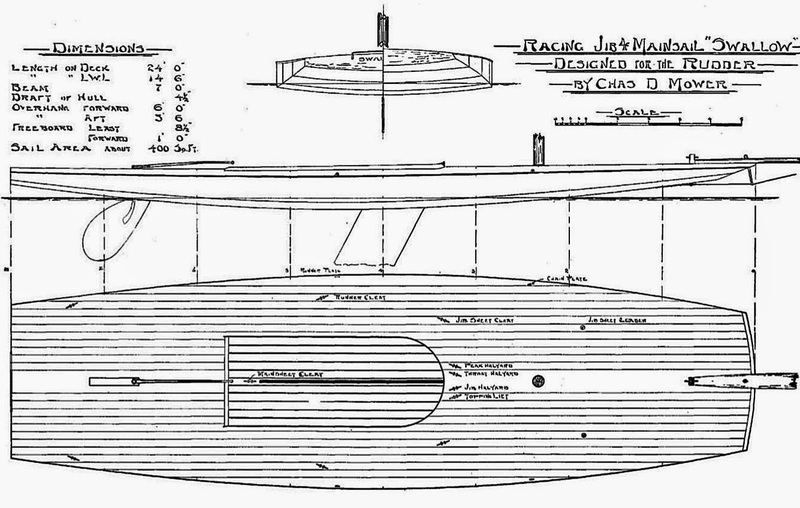 Click here for the Library of Congress PDF scan of The Rudder plans booklet of the Swallow scow. 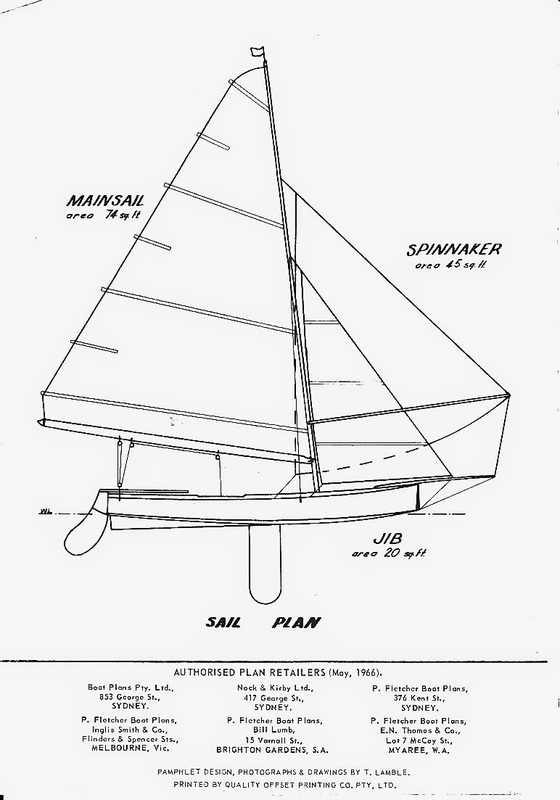 The following photos were harvested from The Rudder Swallow plans booklet. As always click inside the photo for a larger view. 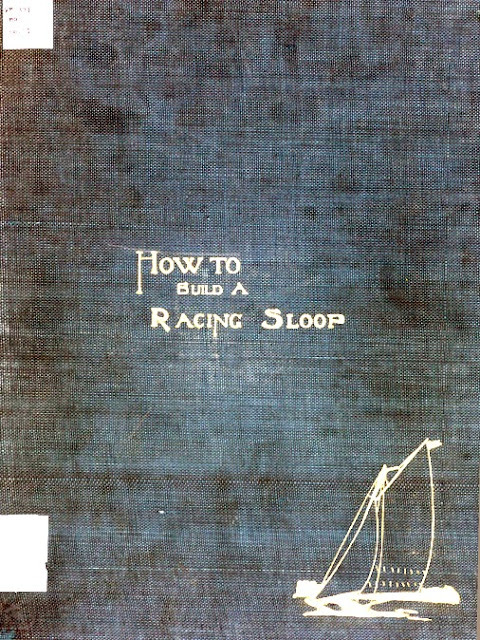 The cover of the booklet. The lines. 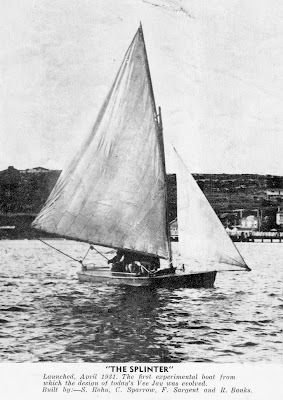 The very shallow arc bottom was also the shape of Larry Huntington's Seawanhaka scow, Question, of 1895. 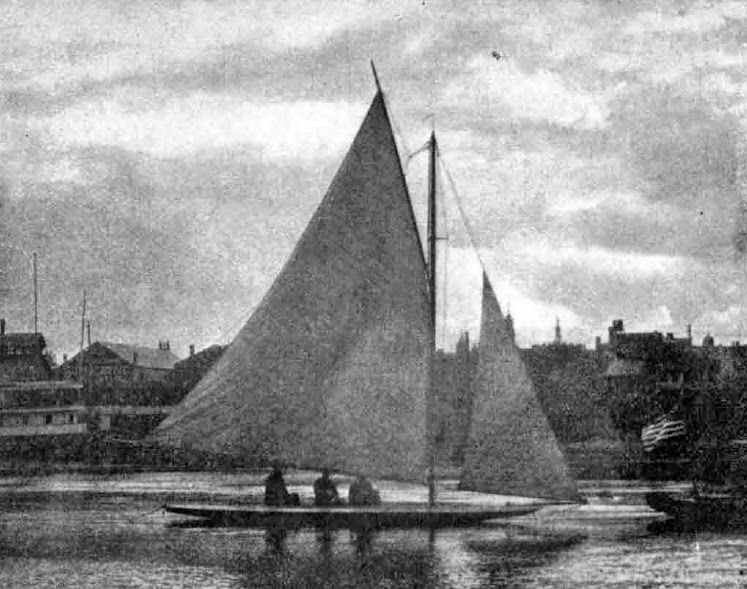 Two photos of the prototype on her maiden voyage in December 1898, The Rudder magazine editor Thomas Day skippering and Larry Huntington crewing. The day was cold and blustery. Group boatbuilding party planking the hull and flipping her rightside. 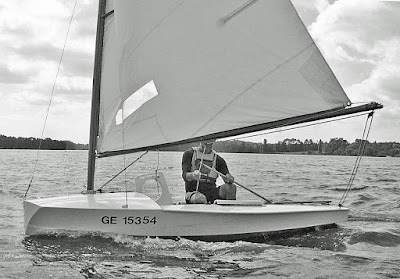 Compendium of launch and sailing photos. 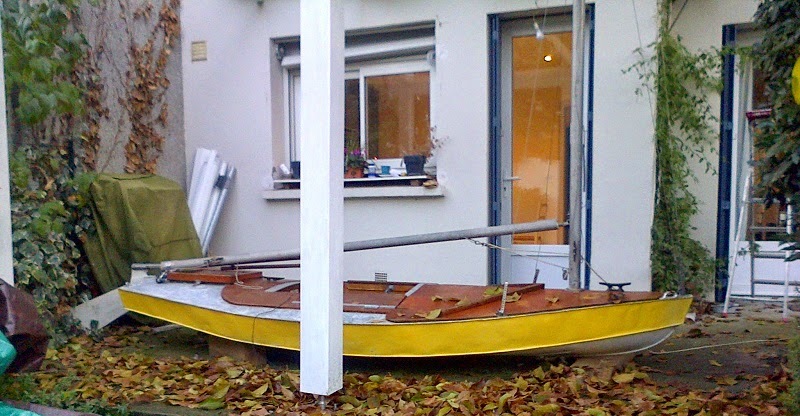 Boatbuilding in a Nation of Two-Finger Texters and Page-Swipers? One of the meme's of modern American culture is we have lost our DIY aptitude (a characteristic particularly attached to the millennial generation). We don't fix our cars, we don't fix our houses, we don't build things..we pay someone else to do it. 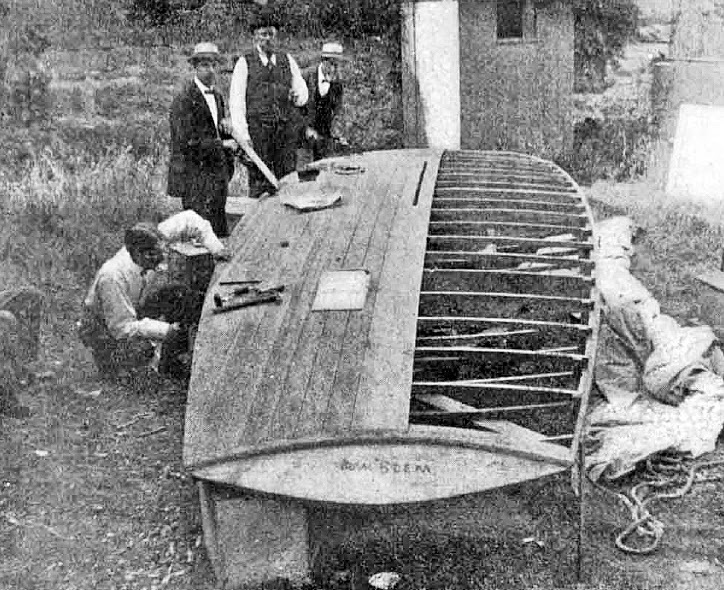 I was reminded of this when reading the geeky but very informative Professional Boatbuilder magazine (by the same publisher of Woodenboat magazine).. They did an article on Chesapeake Light Craft, the plywood boat-kit builders based here in Annapolis. Chesapeake Light Craft spends an inordinate amount of time trying to make their plans and kits so comprehensive there is very little room for error. I then read the following paragraph and my jaw dropped. Hmm! maybe we are becoming a nation of hopeless klutzes. The videographer applies a pencil drawn post-production filter on a short video of keelers racing at Cowes Week. Sailing from Grant Selby on Vimeo. From the always amusing and fertile brains of those who build the box-like Puddleduck Racers, a PDR finished off as a retro 1950's Detroit-mobile.